The Tuscan Archipelago National Park organizes a training seminar on the techniques of intervention and control of the Ailanthus altissima, an invasive alien species found in many natural and urban areas. The seminar will be held on 14 June from 11 am to 1 pm at the park headquarters in Località Enfola, Portoferraio. 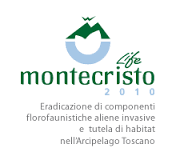 The initiative is funded by RESTO CON LIFE, a conservation project aimed at upgrading the ecosystems of the islands of the Tuscan archipelago and carried out in collaboration with staff of the LIFE ALTA MURGIA project. Those who work in the public or private sector and citizens interested in the subject are invited.